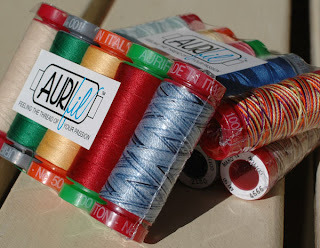 Amanda Murphy Design: Another Aurifil Giveaway! No, not here, at least not yet (hint: next month), but look, all of you creative people, at the great contest/giveaway going on on Aurifil's facebook page. Time to get out the camera and take pictures of your latest work! Amanda, thanks for the info. I will check that out for sure! Have a super day!